Translation: nonsense. Anyone who proclaims that reductionism is dead is woefully ignorant of the enormous breakthroughts, by standard 'reductionist' methods, in cell biology, including cancer research. See R. Weinberg's "One Renegade Cell: How Cancer Begins", as an antidote to the anti-scientific philosophy propagated in this book. First, there are no known laws of "self-organization". The only known laws of nature are the laws of physics and consequences deduced from the laws, namely, chemistry and cell biology. Complex adaptable models and other efforts to mathematize Darwinism are so far not falsifiable, hence are not yet science and may never be. Second, no one has yet defined 'emergence' in any meaningful (i.e., falsifiable) way. Worse, every mathematical model that can be written down is a form of 'reductionism', including so-called complex adaptable ones. Let us think clearly and be try to be precise: Quantum theory reduces phenomena to (explains phenomena via) atoms and molecules. All of chemistry is about that. Cell biology attempts to reduce observed phenomena to DNA, proteins, and cells. Believers in self-organized criticality try to reduce the important features of nature to the equivalent of sandpiles via the hope for a not yet found universality principle. Network enthusiasts hope to reduce phenomena to nodes and links, and also wish for a universality principle. In order to try to isolate cause and effect, there is no escape from reductionism of one form or another. Holism is an empty illusion: holism cannot even be mathematized or falsified. Holism is religion, not science, and should not be advertised as if it would be science. See Schrödinger's "What is Life" for a clear explanation why we should not expect to discover macroscopic (statistical) laws of biological evolution, the only way to understand evolution being mutation by mutation at the level of DNA. Following Mendel, who was a reductionist in the Galilean spirit of physics, two of those who followed Schrödinger's line of thought discovered the structure of DNA, and the genetic code. Genes and the genetic code are excellent examples of emergent objects that can be studied systematically. The genetic code is the source of the most important complexity in nature: life. Show me one, single, holist contribution to science or medicine, and I'll eat my words (without Schmarrn...)! Gene Autry sometimes shot from the hip, but he at least occasionally hit something! Morowitz the scientist makes a single point, which he drives home again, and again, ceaseless, incessantly, until finally it begins to sink in. It is, in this respect, perhaps the intellectual equivalent of Ravel's Bolero, or the yogi's infinitely repeated "Om". The point is that reductivism is the only tool we have for analyzing the world, it is an amazingly powerful tool, and yet at every level of complexity, emergent phenomena arise that could not have been predicted by the levels that preceded them, and can barely, if at all, be modeled an understood using reductivist analytical and experimental techiques. This is a message that will be rejected by one particular group: the self-styled "scientific atheists" who claim that scientific methodology ineluctably implies that God does not exist, or at least that there is no more reason to believe in God than it is to believe in the Tooth Fairy. Morowitz, by contrast, follows Spinoza in identifying the world of science as dealing with the product of the "immanent God" whose transcendance we attempt to capture spiritually. Scientific atheism's error is its inability to appreciate the notion of emergence. Just as consciousness emerges from a material and chemical substrate the scinetific understanding of which tell us virtually nothing about the nature of its emergent properties, so the physical universe may give rise to an emergent spirituality that simply escapes the scientific imagination. Morovitz' interesting book makes this point extremely clearly. I believe Amazon is due major kudos for providing a forum in which readers can compare and contrast their ideas. I really enjoyed the previous nine reviews of this provocative book. 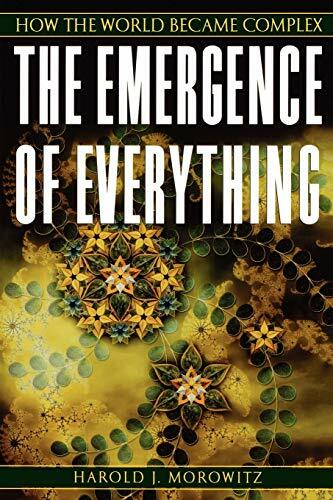 Morowitz stats by pretending he is presenting emergence, but by the last chapter it becomes clear that his goal to look for the nature and operation of God in the emergent universe. His book is therefore more of a work of theology than science. The theology is cloaked in scientific jargon and mathematical equations, but its theology none the less. He asks the right questions but hasn't a clue as to the right answers. This is but one more attempt by a believer in the supernatural to use science to prove God and show a connection between science and religion. He failed on both counts . On Harold J. Morowitz's book "The Emergence of Everything"
Motowitz's monumental book outlines 28 examples of said emergence, ranging from the making of our nonuniform universe, the emergence of stars and the elements of the periodic table, the solar system, planetary structures, universal metabolism, prokaryotic life, eukaryotic life, multicellular organisms, animals, humans, mind, philosophy and spirituality. At each level of emergence there may be agents that interact with their neighbors, not necessarily Darwinian interaction but some kind of interaction. Agents that find themselves to be successful are then latter discovered to be necessary for latter steps in the emergence, and their success is found as agents comply to what Morowitz calls a "pruning rule". The Darwinian selection principle, permitting agents to leave the most offspring as they are found to be fittest from natural selection, is such a pruning rule. The Pauli exclusion rule is a second example that Morowitz gives. The exclusion principle restricts the electron cloud that surrounds the natural elements (in our periodic table) in such a way that chemistry and bonding properties emerge from quantum mechanics; properties that are discovered to be necessary for life as we know it. "...in our discussion of the Pauli exclusion principle we dealt with the restriction that no two electrons in a structure can share the same four quantum numbers - presumably four quantum numbers because of the four dimensions in formulating the Schrödinger equation using relativistic quantum mechanics. This principle does not come from dynamics of the problem, but from the symmetry requirements on the solutions.... Because of the non-dynamical feature, several physicists and philosophers of science detect a kind of noetic feature deep in physics"
".... Somewhere in bacterial evolution, motility appeared. The operative structures are flagella, which rotate, propel the cells. A number of cases were discovered in which cells in a gradient of nutrients swim toward higher concentrations, and in a gradient of toxins swim toward lower concentration. The mechanism is somewhat indirect. Periodically the swimming cells randomly switch directions. In a favorable gradient they change less frequently, and in an unfavorable gradient they change more frequently. They are letting their profits run and cutting their losses. For a population of cells, this leads to a fit behavioral repertoire. The behavior looks causal, but the endpoint looks teleological. It requires sensing the environment, concentration versus time, and responding to the time gradient, which is also a space gradient, since the organisms are swimming. I think it is important to look at these hints of cognitive behavior as they appear." "... There is currently a reexamination that argues that mental activity is universally distributed through the animal kingdom and perhaps in other taxa down to the unicellular eukaryotes. Psychologist Donald R. Griffen has gathered a great deal of evidence in the book Animal Minds and argues for the universality of cognition.... I see the grand dawn of the emergence of reflective thought." Morowitz describes the Principle of Competitive Exclusion (previously studied by Alfred Lotka, Vito Volterra, and Charles Elton), as a pruning rule that implies "... the impossibility of two species occupying the same niche in a steady-state ecosystem". For Morowitz this principle stems from Darwinian selection, but it has unsavory consequences as it affect social aspects of humanization. He writes of the principle that "... humans, having reflective thought and the power of choice, are not bound to living out a set of mathematical relations". In chapter 26, Morowitz gives accounts on how the Principle of Competitive Exclusion can be studied and used as a tool to avoid the unsavory qualities of ourselves (including prejudices and examples of genocide) that emerge from the principle when we unknowingly back into it. Morowitz did not notice that the Principle of Competitive Exclusion has a shadow principle, that I will name the Principle of Cooperative Inclusion. Nevertheless, this shadow principle has a noetic quality that Morowitz has grown fond of. It is such a teleological principle that says that hate will destroy itself when it is forced to coexist with the inclusion brought by love. And so my friends we hold onto the angry tension, not by competitive exclusion but by cooperative inclusion. A better world will unfold as hate ranges war with its own angry shadow; the catharsis will expunge our prejudices. Morowitz has many kind words for Teilhard de Chardin. On page 175 he writes: "... I see the World Wide Web as a reification of instantiation of the noosphere and consider Teilhard as an even more prescient thinker. Human thought is collective." While the concept of emergence is quite interesting, this book lacks enough depth to really cover the material in a meaningful way. The book is more a collection of brief essays on various topics, and does provide a useful overview of the topic. Dr. Walter T. Brown, a retired MIT Prof, retired full Colonel from the Air Force, has written a book that is one of the best compilations of scientific evidences and reasonings regarding the origins question. One of the books great features is that it is about 30% quotes from well known and regarded scientists and publications. Another great feature is the surprisingly simple and logical explanations of current geophysical attributes that haven't been solidly explained by any current threories. Dr. Brown plainly outlines how that from a scienific point of view organic macroevolution lacks necessary physical evidence. Even more seriously, it lacks any concrete plausible mechanisms, as many of the people quoted in his book readily say. This book will give any open reader more than adequate material to really think about. To the closed reader, the sources quoted would be almost heroes, so he/she would really have a hard time arguing. I would especially encourage all opponents to an extranatural origin model to read this book. I would also highly engcourage any seeking student to read this to find out what science really knows, or professes to know. This book has had a tremendous impact on my life, especially my thought process and the way I view earth. This book will definitely make you think and possibly question what you believe and know, or think you know.. Creation Science is a growing field today. The more popular theories such as the Canopy Model and Catastrophic Plate Tectonics have been at the forefront of Creation Science for many years now. In this book, Dr. Walt Brown introduces an alternative model called "Hydroplate Theory". According to this theory, the Earth was once filled with high-pressure salt water under its crust, and then exploded about 4,300 years ago. The immense pressure created a crack on the earth's surface, releasing millions of tons of debris/water which flooded the planet's surface and forever changed the landscape. The author presents the model quite convincingly, with comprehensive documentation of related scientific theories and laws for the layman. In my opinion, When compared to other creation models, the Hydroplate Theory stands out as creation's best candidate to battle the Theory of Evolution in the scientific arena and in the minds of the youth. 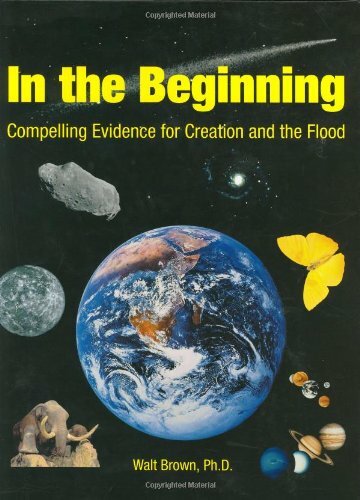 If one has never been introduced to the creationist view, this book is a perfect starting point. In the endnotes and references, Dr. Walt Brown makes mention of the works of other great creationists such as Henry Morris, Bill Cooper and Barry Setterfield. Additional research can be conducted from thereon, providing the reader with enough reference materials to build a thorough understanding of Creation Science. In many ways, Dr. Walt Brown revives the classical formula of using Theology for scientific research, in the same manner that Isaac Newton pursued science with Biblical scholarship, which resulted to the single greatest scientific work: The Principia. Many would argue that this methodology is unacceptable in the age of computers and genetics, but then again this very same system was employed in the age of discovery in the 16th and 17th centuries, before the Theory of Evolution was popularized by Charles Darwin. This does not mean, however, that Dr. Walt Brown supported his theories solely by using Scriptures. On the contrary, much of the content were supported by evidences in nature, as supported by conventional science. I understand that people tend to be skeptical of the unknown, especially of things that were not taught in the academic institutions where evolution is widely promoted (and creationism widely dismissed). But regardless of your beliefs, this book will serve as an INVALUABLE REFERENCE to both Evolutionists and Creationists, just so one would be aware of the key scientific evidences and issues presented in the Hydroplate Theory. Having read this book through several times, it is quite obvious that Dr. Brown is a first class scientist. Being a Ph.D. scientist from UC Berkeley (chemistry) myself, this book was extremely refreshing in its originality and complexity. I am quite certain that the established dogmatic priests of plate tectonics and uniformitarianism will use bombast and demagoguery to refute what Dr. Brown posits. But overall, his research is thorough, his thoughts are well articulated and his Hydroplate Theory is refreshing and brilliant. Bravo! A MUST read. When does the 8th edition arrive? This book seems at a first glance and to the layperson to be quite compelling, but further research indicates that the author of this text does not conduct science in a honest manner. At the end of each section, the author cites different sources from various fields of research. Of almost all of the evolutionary scientists, Walt Brown has taken what they've published completely out of context and used it to forther his own agenda. Upon researching what each author ACTUALLY says and comparing it to what Walt Brown uses to support his hypothesis, it becomes quite obvious that Walt Brown is a manipulator and is either one of the sloppiest researchers in his field (which is not scientific but religious) or he is an outright liar and knows what he is doing is wrong. I've had many students approach me with Walt Brown's sloppy research trying to support the creation hypothesis. I have to spend a lot of extra time teaching students not about biology, but about how science is conducted. I have to teach them that Walt brown and his like are terrible examples of scientists and why. This takes a lot of time away from my biology cirriculum. Overall, I think Walt Brown's text is one of the worst pieces of research I've ever seen. His facts are not right or they are taken out of context or are used in isolation. He even goes to the extent of using some of the most out-dated concepts in his hypothesis (Such as the speed of light slowing)!! I sincerely hope those who buy into creationist propaganda will try to educate themselves about how true science is conducted. Walt Brown is a good example of a horrible scientist. 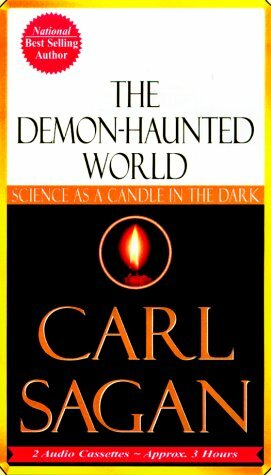 For a short and quick essay regarding the scientific method and fake (pseudo) science, Google search for Carl Sagan's "Baloney Detection Kit". The volume is divided into five "books," making it possible to read the volume as a whole or to use its individual sections (books) or the individual chapters within the sections. Book One introduces the science and religion debate.Book Two examines how three types of science --physics, biology, and psychology - interact with one another.Book Three explores theological resources for making a model of God, humanity and the cosmos and how these can applied to a description of divine action in the light of contemporary science.Book Four looks at science's place in society, while Book Five speculates on how the debate between science and religion is likely to develop. Includes figures, exercises, a note for teachers, references, bibliography, and index. 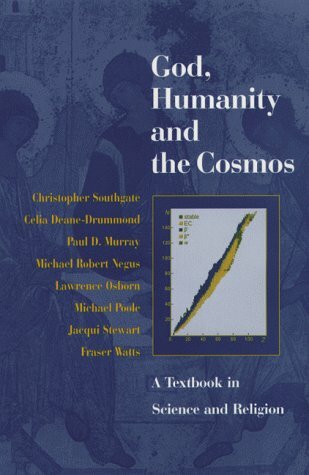 Having had the privilege of studying the course behind this publication first-hand at Exeter, I would recommend the book to any student who seeks a thorough and well-rounded survey of the contemporary debate between science and religion. Or is it a debate? The authors posit several models of dialogue between these two - usually separated - spheres, and this forms a core feature of this textbook: the opportunity to explore ways in which the two complement and enrich one another. Therefore as well as being competently yet simply introduced to complex scientific questions (the Big Bang, the origin of life, quantum theory - to name a few), the author allows scope for the reader to see - for himself, and through the eyes of great thinkers, more and less famous - how it is possible to construct a working hypothesis of the inter-relation between God, humanity and the cosmos. In the later chapters, which are a particularly unique and enjoyable section, we are introduced to the scientifically-influenced theologies of Jay McDaniel's "pelican heaven", Sallie McFague's "embodied God" and Ruth Page's "Web of Life". The reader can enjoy these models, whilst exercising a critical eye, sensitive to the scientific perceptions and phenomena so effectively outlined towards the beginning of the book. On top of this, other views are outlined, including a section on Islamic theology and creation. "It takes a certain amount of courage to step beyond one's day-to-day experiments and look at the big pictureand the origin of the Moon is a 'big picture' question par excellence. Perhaps it makes sense that William Hartmann, one of the two scientists who unraveled the Moons biggest mystery, is not only a scientist but also a part-time artist and science fiction writer. It took someone with an artists eye and a fiction writers speculative temperament to see the big picture. "This is a book about that big picture: the origin of the Moon, as interpreted by Hartmann and Alastair Cameron, the second patriarch of The Big Splat. It is also about a doomed planet called Theia, and a familiar one called Earth that used to look vastly different from todays Earth. But, most of all, it is about a long lineage of intellectual voyagers who began exploring the Moon long before Neil Armstrong planted his boot into the lunar dust." Dana Mackenzie has created that rare combination of a book both consistently entertaining and scientifically excellent. His theme is the evolution of theories about the origins of the moon. He sweeps the reader from Anaxagoras and Pythagoras to Newton to modern times. Explanation of the moon's creation was only recently made possible in part through powerful computer modeling and the Apollo space program's physical recovery and analysis of moon rocks. The story is fascinating and enlivened throughout by scientific mini-biographies, pithy discussions about the history of astronomy, and highly intelligent explanations of relevant principles of geology, celestial mechanics, physics, chemistry, and related sciences. 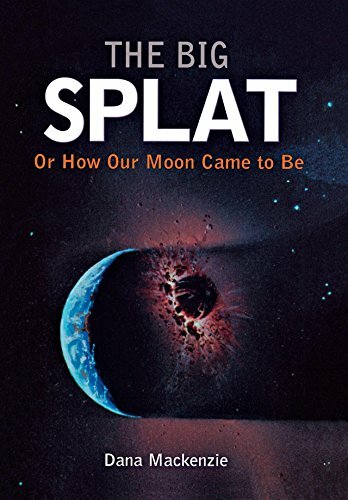 The "Big Splat" refers to the overwhelming event which much evidence indicates really did create the moon - the oblique collision of another planet (the impactor) with the earth over 4 billion years ago, shortly after the genesis of the solar system. The evidence in support of this interpretation is compellingly presented, and the event itself summarized clearly and dramatically. Those interested in science, astronomy, and the history of thought should place this book high on their reading list. It is hard to put down until finished. After reading this volume, few of us will ever again look at the moon without greater interest, understanding, and awe. This book stands on its own as a terrific work on science, both informative and compelling. Its ability to offer the big picture as well as technical questions is probably what makes it so interesting to laymen (like myself). But it has a distinctive stamp when compared to a great work that has become the gold standard in popular astronomy, Carl Sagan's Cosmos. Overall, the two books probably have more in common than not. And the Big Splat does share Sagan's great theme of science as a self-correcting project with a long history, one characterized both by truth and errors. But science is painted a little differently here. In Carl Sagan's works, unmanned exploration of space comes across as the chief scientific success of the space program, and Sagan himself was a critic of manned space flights. In The Big Splat, it is the Apollo landing on the moon that shines as the pinnacle of scientific gain. The moon rocks returned to earth, culled on the lunar surface by astronauts trained in what to look for, told scientists that old theories about the moon's formation were untenable, and provided the key to the new and widely accepted theory; the rocks did something very similar for theories about the origin of craters. Moreover, the sheer size and visibility of the Apollo program revived lunar science when it had fallen out of favor with the scientific mainstream and was ebbing. Very few people today know that NASA's space program has had such a profound effect on any scientific field or question. The author notes himself that the impact theory of lunar formation, though widely accepted since 1984, has made only slow progress into mainstream national culture. He also notes that if the impact theory is true - and it has fewer weaknesses than any of the three principal previous theories were known to have when they were each first proposed - then few people even today have heard about what is arguably the most important event in earth's history. It was certainly the largest impact in earth's geological history, upon which all biological and social history developed; and though The Big Splat does not get into it, the presence of lunar tides may have been a key to the development of life on our globe. If the philosophy behind Cosmos has become the new, mainstream view of science, The Big Splat differs from it in at least one more important way. It does not rely greatly on the common theme of science-versus-religion (though that theme does appear). Science is presented as having its own fashions and dogmas, such as the onetime disinclination to take lunar science seriously, and the widespread prejudice against theories proposing large-scale impacts. The chief prejudice is one against lifeless planets: in the author's words, scientists as well as laymen had always proposed that there was life on the moon because "it was just too hard for the human intellect to grasp a place that was utterly devoid of life." In Carl Sagan's works, the greatest challenge to the human mind, and the largest opportunity to extend human knowledge, is said to be the possible discovery, by science, of extraterrestrial life; and religion in particular is portrayed as challenged by such possibilities. In this book, the role of that which is hardest for the human intellect to comprehend goes not to the discovery of life but of lifelessness: the discovery by Apollo that the moon was and always had been a lifeless body. To read this book is to put yourself in the shoes of the past, to work out particular scientific questions step by step, in relation to larger cultural questions - that is, as the people of the past worked them out. That may be the book's greatest strength. There's no greater reading pleasure than good science writing. By combining ingredients from history, stirring in good data, adding some spice of characterisation, a recipe of adventure and inquiry becomes a delicious result. Dana Mackenzie has produced a confection suited to any reader's taste in this account of thinking about our neighbour in space. Tracing the history of thought on our satellite, he travels down the centuries to reach an earth-shaking conclusion. It's difficult today to view the Moon as the ancients did. Once, it was considered a disc. 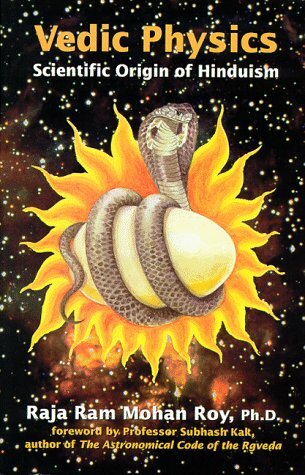 Even whether its light came from the sun or originated from the lunar surface was disputed. The nature of the markings, Mackenzie explains, was equally contentious. The dark areas were finally deemed "seas" and the Latin "maria" remains with us today. After Galileo determined the moon was cratered, the origins of these enigmatic forms opened new discussion. Volcanoes held sway as their origin, although no Earth vulcanism had produced caldera of such size. Meteor impact was viewed with suspicion in an age when catastrophic events were looked on with cautious scorn. The moon's effect on the oceans was realised in ancient times, brought strongly to further awareness as Europe sent ships to far shores. Tidal predictability became a normal calculation, but much about tidal forces remained mysterious, Mackenzie reminds us. Examining tidal action would help lay the foundation for the most likely mechanism of the Moon's formation. Although Mackenzie introduces us to many thinkers on the lunar phenomenon, the key figure is Ralph Baldwin. In the midst of growing debate about the lunar craters, Baldwin had the temerity to suggest that one impact had formed a significant part of the lunar surface. The debate was resolved, of course, by the Apollo landings. Among the rocky souvenirs brought back from those explorations were some green, glassy samples. These objects can only be formed by high speed impact of solid bodies. Deep in the past, The Moon had bombarded by meteors. Some of the bolides had been large, and their origin remained in question. One object had far greater impact than anything the lunar surface implies. It was the body that had led to the formation of the Moon itself. Mackenzie's "great splat" is the analysis of lunar material that revealed the Moon is made up of Earth-like surface material. The Moon doesn't have the iron core typical of rocky planets. The reason for this is that the Moon didn't co-form when the Earth did. The Moon was the result of a Mars-size planetoid striking the Earth shortly after its formation. The impact drove a mass of material into space which coalesced to form our satellite. 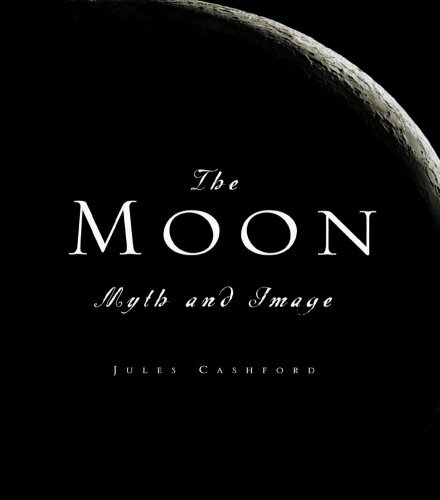 This book is a wonderful read, detailing various theories of teh origins of the moon. More interesting to me was the history of these theories. Very few science books spend time talking about how ideas evolved, and in particular how ideas as recent as 30 years ago have changed. This book was fun and easy to read, and Dr. Mackenzie does a great job explaining the science and conveying the excitement he clearly feels for the topic! In this fascinating book, author and scientist Dr. Dana Mackenzie traces man's "scientific" study of the Moon from the Greek philosopher Anaxagoras, through the Pythagoreans, Aristotle, Kepler, Newton, and on to the present. Along the way, you get to see the flowering of modern science, and how advances helped and hindered the various explanations for how the Moon came into being. In the final chapters, the author examines the newest theory, and that is that the Moon was created by a collision between the Earth and another planet (which some have tentatively named Theia). This is a book that really exercises the mind. It is highly informative, and brings the reader right up-to-date on the latest thinking on the nature and origin of the Moon. If you are at all interested in the Moon or the history of our solar system, then I highly recommend that you get this book. 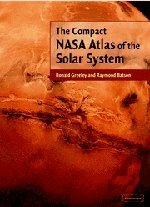 Featuring over 150 maps, 214 color illustrations & a gazetteer that lists the names of all features officially approved by the International Astronomical Union, The Compact NASA Atlas of the Solar System is the essential reference source for maps of every planet, moon, or small body investigated by NASA missions throughout the solar system. The Compact NASA Atlas of the Solar System is a very good reference for those working with spacecraft. Spacecraft images don't come with names already on them and it is often difficult when looking at some MGS images which crater is which and what they are called. When it comes to most of the inner planets, and Saturnian, Uranian, and Neptunian moons, the coverage is quite good and very useful. However, I can't say the same for Venus and Jupiter's moons. While there is excellent coverage for Mars as far as number of sections, Venus is not covered as well even though we have similar scale maps. I agree with the authors that if the same scale was used for both, the Venus maps would take up a large number of pages. However, the same number of quadrants would have been nice. Secondly, the coverage of the Jovian moons is lacking. The maps are from the Voyager era and while that may not be as big of a problem for Ganymede or Callisto, it is a problem for Io and Europa. The coverage of Europa from Galileo has greatly improved over Voyager's coverage and an updated map would have been nice. Io's map is also from Voyager. The fact that much of the anti-jovian side has been covered in great detail by Galileo but it was not included in the atlas save a small image of that mosaic not incorporated into the map. in addition, surface changes in the 20 years between Voyager and Galileo have made the included map quite out of date. This book is entertaining and mind-expanding. The opportunity for exploitation of near-Earth resources is apparent. Dr. Lewis supports his assertions with good science and broad foresight. This is a great job of presenting both the scientific and social benefits of using space resources. The future is built upon visionary ideas, not always immediately appreciated. This book makes a convincing case for advancing beyond the confines of this planet and how such an exodus is not only practical, but may well be profitable. Mr. Lewis, Professor of Planetery Science at the University of Arizona knows his stuff when it comes to outer space and its natural resources and how to economically get there and how to make a profit from them. Readers will be amazed at the enormous wealth that lies within just a few short Astro-Units from Earth. The comment from Space News is that the book is "mind stretching" and it certainly is. The book is a real page turner and the technical stuff is easy and fun to understand. This book covers a great deal of topics on the subject of exploring near outer space. I enjoyed the descriptions of what it would be like to walk on an asteroid, with all its gravitational variations. He also discusses some details of specific known asteroids. He covers the chemistry and energy requirements for first steps of exploration. However, I enjoyed Robert Zubrin's "Entering Space: Creating a Spacefaring Civilization." Zubrin covers the chemistry, energy and cost requirements also. But his book is organized, and written much better. Lewis repeats whole passages in this book, and many sections can easily be skipped without missing any information. He attemps to lure the reader with science-fiction-like narrative. Except for one, I did not find it that interesting. 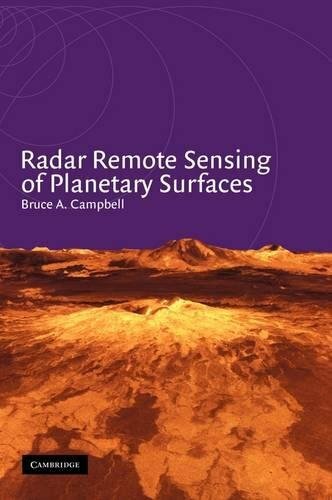 There is great deal for free on line about each interesting asteroid that is more detailed than what is offered in this book. this book decided my life's pursuit! Dr. Lewis without a doubt deserves to be one of the most influential leaders in space development. 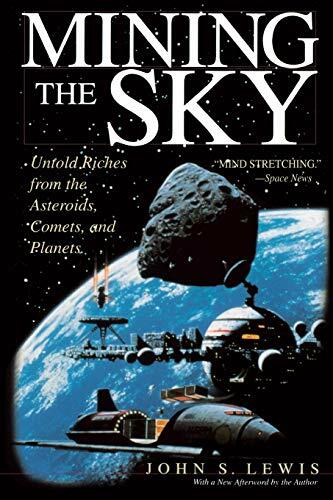 I found Mining the Sky by accident in a hometown book shop while in high school and bought it because I had a few dollars. Five years later, I'm 9 months away from becoming an Air Force space officer with an astronautics degree. This book is that impressive. This book is the clearest and accessible book on the economic impacts space will provide the human race to date. Most of its ideas aren't fanciful and can be easily imagined as maturing in the next 20-30 years or sooner, given an effort. Maybe even sooner, as at least one private company was inspired by Dr. Lewis' writings. Dr. Lewis' positive outlook is tempered by a realistic engineering and economic approach to space. Keep in mind this book is first and foremost about space industrialization, not exploration. A true space enthusaist should know that one cannot be without the other. Dr. Lewis could not have given a better general survey of whats out there. A brief addendum concerning other reviewers' criticisms. This book could be made much more technical. However, this book was meant to appeal to a large, nontechnical audience. For more information, see Dr. Lewis' earlier book (and parent to Mining the Sky) Resources of Near Earth Space. It is the standard text for space materials prospects. Mining the Sky is a toned down version of RoNES meant to explain to a layman (me, when I first read Mining) the opportunities that await those courageous enough to reach out. Thank you, Dr. Lewis. And everyone even remotely interested in space and mankinds future in it, READ THIS BOOK! ever.It is a theory that is still evolving, but it already shows great promise of explaining the most fundamental mysteries of nature.The theory is based on the simple concept of miniscule vibrating strings as the source of all matter and forces in our universe. 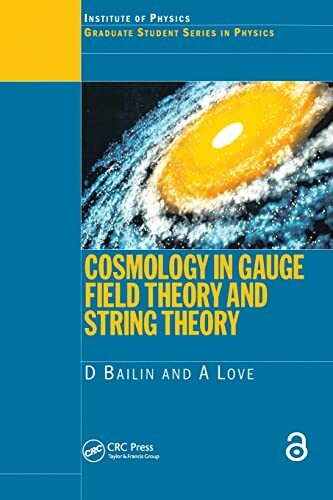 Probably a fair book for somebody's first book on String Theory, but definitely not for the advanced reader who is looking for new news. The author covers a lot of areas of quantum physics, but not in any real depth or background. In his first section on string theory he barley talks about strings. He introduces the concept well, and discusses the mathematical challenges of the string theory revolutions in more-or-less, introductory terms. Makes use of diagrams, but seemingly to take up space, rather than visual aids. I read the entire book in about three hours. This book is very well written and it gets right down to the point. It is, also, very clear in concept with only a few points here and there that might have needed a better explanation. This is only an introductory edition, and if more in-depth knowledge is needed I recommend: The Elegant Universe by Brian Greene. Overall: VERY GOOD. Good Intentions - Could have been better. The Book seemed to be a reflection of the "Cosmic Science" I had discussed with my parents & siblings since Childhood.. The Author is well versed in Physical science but sometimes mis-interprets the Vedic phrases leaving "mush to be desired"... For example, in the Purusha Surta, there is a verse saying the "Legless purusha Attained legs"; well the word for leg in sanskrit is "paada" meaning part. So the sentense would be, the undivided had divided itself... That would be close to a rational mind. Also, the use of the term "God" is a no-no when explaining the RGveda. Purusha denotes the ABSOLUTE. For readers who do have knowledge of modern science will be able to understand this book. As it just details vedic science and relates it with modern science. Having read the book carefully, I can say that it speaks of some interesting characteristics of the mind reflected in the Vedic hymns that mirror the world of physics. I believe this is what Subhash Kak also seems to say in his foreword to the book. In other words, this book is not about physics but rather it represents the connections between the physical world and the structure of the mind. One might call this subject speculative physics or metaphysics. It is not the clearest exposition of such metaphysics, and this made me struggle to decide whether to give the book two stars or three stars. I chose the latter number for its sheer originality. In case you did not know, Soma is a hallucinogen widely used in the Vedas. I am just kidding about the rating. I gave this book a 5 star so that my review should come out on top. And this book is not even worth the money you are paying to be online and see this review. Read on for the truth. This guy is crazy. After Vedic Mathematics dazzled me no end. I was keen on reading this one too. But it has been a huge disappointment. Well, if his interpretation of the Vedas is so perfect, how is it that he has not come up with any new physical principles that have been described in the Vedas? Or have the Vedas chronicled the physics only upto the 21th century? No Unified Field Theory in the Vedas? All I can say about this book from the Indian perspective is that it is an insult to all the Rgvedi Brahmins in India and abroad. A debauchery of their literary heritage. Something that they preserve. Thanks, Mr. Author. Thanks for telling me that what I chant daily after my bath is a treatise on high velocity sub-atomic particles. Anything else? Is the Rgvediya Sandhya some sort of inter-planetary morse code or something? Did you drink Soma before you started off on this literary tourney? Please, we are adults out here, some of us partially educated. Yes, even in India. The cenus puts the literacy rate at 65%. Give up writing, become a politician in India. Your theories could do wonders for the fascist incumbent thugs there. I tend to be very wary of astronomy books. I enjoy going out at night and looking at the night sky, but don't like to get a whole lot more technical than that. 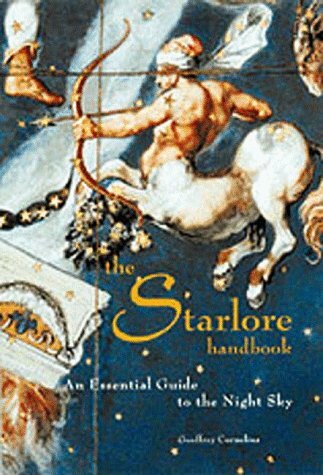 After having learned to identify some of the constellations, this book provided me with the perfect next step. It gives you just enough background knowledge to make your tour through the sky infinitely more enjoyable. The author presents simple and easy to understand information on both classic and modern constellations. I would recommend it as the perfect "not too technical" book about the lore surrounding the night sky. 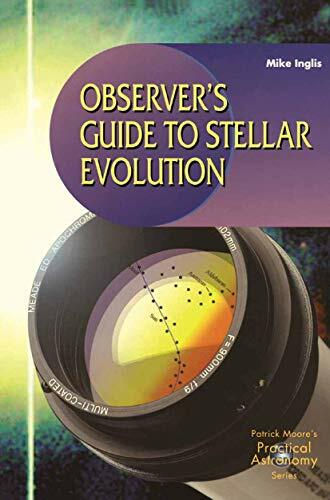 "The Observer's Guide to Stellar Evolution" by Mike Inglis (Springer-Verlag) can be used as a quick reference to a few hundred commonly observed astronomical objects. The author also provides a comprehensive explanation of the basics of astrophysics, using the objects as illustrations of the concepts he presents within the text. Inglis meticulously discusses in great detail the methods of measurement of such essential astronomical details as distances and the use of spectral analysis of starlight to determine stars' composition and relationship to other objects. We are taken from the formation of protostars in the interstellar medium to the actual birth of a star, at the point when pressure and temperature increase enough to start the core's hydrogen-fusion reaction, producing first helium and then all other elements, known as metals to astronomers. The author imparts one of the most important concepts of astronomy in his handling of the Hertzsprung-Russell Diagram, a compilation of research named in 1911 for Danish astronomer Ejnar Hertzsprung and, in 1913, for American astronomer Henry Norris Russell. He repeatedly approaches the H-R diagram from several avenues, including measurements of the radii of stars and consideration of every possible facet of a star's genesis, life and death. Inglis deals with the H-R diagram more effectively than many authors by the deftness with which he reapproaches the subject time after time. Rather than creating the impression of being overbearing and too repetitive, Inglis increases the reader's understanding of the H-R diagram's importance to the concepts under consideration. His explanation of the crux of the H-R diagram, the diagonal band of stars know collectively as the "main sequence," is key to any further understanding of astronomy, for these stars comprise 90% of all visible stars. reactions by which four hydrogen atoms interact at extremely high temperatures to form one helium atom, is the best I've read. His lucid description of helium burning, which results in the creation of carbon and oxygen, couldn't be clearer. The next main event in the sequence, the "helium flash," only happens in low-mass stars but is best described as spectacular: energy output about 100 times greater than the entire Milky Way. The temperature of the star's core at this point can reach 300 million K.
Due deference to the mathematically-challenged is provided by Inglis' decision to keep nearly all formulas and computations separate from the text in shaded boxes scattered throughout the book. The book's diagrams are well-done and informative. I intend to plan some observing sessions in the near future by referring to the object descriptions. Notably missing is an effective and comprehensive glossary. This necessitates frequent use of the index, a poor substitute. While this book is the product of a talented astronomer, it reveals the worst example of copyediting I've seen in years. The reader is forced to reread many sentences and to guess their meaning. In fact, only a determined reader is likely to finish the book. triggers?) I was repeatedly left with the impression that Springer is selling a fairly thin paperback for $44.95 which could be more aptly identified as a rough draft than a book. However, the factual content is valuable despite the nearly fatal defects. This impression is largely due to my knowledge of astronomy before venturing into this prematurely-published minefield. Had I paid for the book rather than been provided a review copy, I would have been tempted to return it. The current edition of this book could be the makings of a rather good book if Inglis, his editor and his publisher decide to complete the project. I have just finished reading this book and could not put it down. Dr Sagan has a brilliant way of explaining the complex issues that surround human superstitious behavior in a way that is both entertaining and informative. This book is simply magnificant, a triumph of crear thinking that humanity should be thankful for. Everyone should read this book. It should be studied in schools, it should be placed in hotel rooms in place of the bible. This is a simply wonderful book. In the introduction, Carl Sagan recounts a conversation he had with a cab driver, whom he calls "William F. Buckley." "Mr. Buckley" is interested in things like the lost continent of Atlantis, UFO abductions, and other "pseudosciences" instead of real science. The book is a series of essays that seek to debunk some of these pseudosciences (UFO abductions, the Face on Mars, and faith healing, to name a few) and explain why people seem drawn to such things. In so doing, Dr. Sagan also explains how the scientific method is used to advance humanity's knowledge, and why science is the best (and only) way to understand the world around us. He explains how scientists must be both extremely imaginative and extremely skeptical, how scientific discovery always contains some uncertainty, and how even scientific mistakes can help advance knowledge. There's a particularly interesting essay called "The Fine Art of Baloney Detection," in which Dr. Sagan presents the "Baloney Detection Kit." The Baloney Detection Kit includes several tools that can be used to help winnow out the truth (Dr. Sagan uses these to ask pointed questions about J. Z. Knight, the channeler of "Ramtha"), and also lists many logical fallacies. The essays convey Dr. Sagan's awe and wonder at the natural world and his dedication to science, but are never cruel, dismissive, or condescending to the "Mr. Buckleys" of the world. I read this 7 or 8 years ago.It's gotta be one of the best books I've ever read.I have never misplaced my copy of it. I would be hard-pressed to remember specifics about any other book I read so long ago, but Sagan's style (and his choice of examples) is so lucid that to this day I can recall many of his examples. I still dip into it from time to time to reread various hilarious or engrossing sections (e.g., "Carlos to appear in Australia, the discussion of how Lourdes water is actually harmful for you, the face in Mars, the crop circles, the primer on fallacies, etc.). I have also discovered that I am not alone in thinking this book should be required reading for American high school students. Sagan does a good job of conveying the horrible state of science in the daily lives of the average american.A lot of it is misunderstood, or worse, other things are misunderstood to be science.There are several valuable parts to this book that will give a reader a better idea of how to think critically without making mistakes of logic or reasoning.This book should almost be mandatory high school reading. Although the book picks up a political slant towards the end, this is a book that every person should read, and many would likely find entertaining.As a high school biology teacher, I try to impress the skeptical mind frame upon my students; Sagan in this book, does the same thing for an adult audience.The book is filled with interesting stories ranging from UFO's to Modern Day Messiahs, and Sagan shows how to critically analyze any of these to see them for what they are: "Baloney".Between his interesting stories, his wonderful sense of humor, and his uncanny ability to restore a child-like wonder about science to the adult mind, I couldn't wait to come home from work to read more.This book could very well be the greatest achievement of Sagan's life. Book 1 of the MY Big TOE trilogy. With humour and high spirits, Tom Campbell informally shares with you in his Trilogy, who he is, and how he started on the journey that led to his Big TOE. Campbell's Big TOE, which refers to nothing less than a Theory of Everything, stands on firm ground. In a bigger picture of our existence than has ever been presented, My Big TOE weaves Philosophy, Physics, and Metaphysics together to create a model of reality through which you can begin your journey towards a higher quality of consciousness. Campbell's books are derived from his own experiences with altered states of consciousness, his work and experiments with respected people in this field, and the objective verification of the results. The author shows how previously, Philosophy, Physics, and Metaphysics clashed in their isolated quests for answers to the nature of reality, and that by setting the camera of our conscious mind to a wide-angle lens, we can better understand reality in the larger sense. Do not let the scientific undertones steer you away from this Trilogy. The personal asides that the author provides enrich the reading process, and the Trilogy format allows the complex subject matter to be more accessible to everyone. From those mildly curious to the potentially eternally grateful, please note: from whatever level you personally begin, you cannot go back to exactly the way you previously viewed reality - this Trilogy will reach the core of your being, and you will certainly glean from it something of lasting value. The true value, however, will lie in your own experiences and explorations, the author cautions, as the Trilogy provides only a framework for your personal quest in search of a higher quality of consciousness and awareness. While personal effort is expected to achieve results, I appreciate the lengths the author has gone to in order to relate the processes, and the why, of how he arrived at his Big TOE. which of your five senses works best for you. These are but a few of the answers and profound insights the author presents in this Trilogy. The noble goals of evolving our consciousness toward the positive side, exploring alternate realities, improving the quality of our being, our life, and our planet, are a challenge the author inspires us to take on. For all of these reasons and many more besides, I cannot recommend this Trilogy highly enough! I have not the wit nor the folly to attempt to summarise the work contained in the My Big Toe Trilogy; Tom Campbell has already done an outstanding job of encapsulating and organising thirty years of interest, application, annotation and first hand experience of altered states of consciousness (awareness), and yet, there absolutely no doubt, this man is very down-to-earth. The Trilogy format is a good idea. Each book is a comfortable, progressive read, and the space between books gives time for reflection and digestion.MBT is totally free of religious, political or philosophical bias; it needs no specialist knowledge or training, just interest, an open sceptical mind and the courage to consider a much larger Picture of Reality than we presently enjoy. I have read the Trilogy 3 times now, and each time, perhaps through familiarity, I am aware of significant new information. MBT WILL affect you at some level or other, be assured. If you are in search of new ground where truth does not wither under the weight of belief, dogma or cultural presumptions, give this work a chance. I head an open group workshop based on transpersonal discovery (Conscious awareness). Tom Campbell's Big TOE is not just a constant reference, but it has helped many of us to conceptualise what previously had been areas of indigestible intellectual understanding.I cannot possibly recommend this work highly enough. The opportunity of a lifetime should be grasped within the lifetime of the opportunity. I sense this is it. Another Point of View on "My Big TOE"
Anyone who desires to advance to adult level in this children's world in which we presently live should go to the trouble of working their way through this trilogy of books, whatever the cost in effort determined by the level at which you choose to learn. Almost everything that you need to know that is not, of necessity, "do it yourself" only!The author has specifically written the My Big TOE trilogy for reading on several levels with corresponding levels of effort required.Please understand that my comments are intended to encourage you to read, not to discourage you from reading, these books.My intent is to show you why you should read these books at no matter what cost in effort you choose to expend.First, you will find out how much you need to unlearn.Then you will find out how much you do not understand of what is being said and what is going on around you.If however you already possess a high level of such knowledge, you can expect to have a great deal clarified.This trilogy of books constitutes what in the field of physics is called a "theory of everything", thus the acronym TOE.You will see that this is literally true of these books. To come close to fully understanding My Big TOE requires a high entry threshold, a wide range of knowledge.The author has tried to offset this by reiterating his message from different viewpoints in order to aid your understanding.As he also points out, much of the detail can be skipped as useful to advanced specialists and the main points still be comprehended.He has also tried to relieve the intensity with humorous comments.Not everyone will be able to appreciate the humor however, which the author recognizes, and it is also optional.If you have been to graduate school in the sciences, you will recognize the author as a kindred spirit.He worked as a physicist in industry and collaborated with Robert Monroe of Out of Body fame in his early research. The main points will provide you with an understanding of the Reality of which you are a part.How it originated, the few characteristics and principles from which it began and by which it developed, including that small part of the greater reality that we experience in our day to day lives.You will be surprised that these principles are things which you probably already know about, just not their full significance in the greater reality.You will also be given a general description of that part of the greater reality which we do not normally experience but which you can if you so desire.This will be developed logically and a reference is given in which a detailed description of our every day "physical" reality, including its physics as understood by present day science and beyond, is developed from the same set of beginning principles as given in My Big TOE.These principles are applicable to the present reality in which you live. Knowing what they are will tell you a lot about what to expect from life, how to deal with it and what is the best way to interact with others for your maximum spiritual advancement during your passage through it. You will be told the veritable meaning of life and your place in it.It is more explicitly stated than you will find in most other places.It will probably be a great surprise to you and you may not find it to be comforting.Note that I mentioned that we live in a children's world and much that you and everyone else have been taught is intended for comfort, not reality and literal truth.Keep in mind at all times while you read and study My Big TOE that you in your true being are a native and at home in this reality and that you have been dealing with it reasonably successfully through many previous periods of "physical" life when you did not have this information.Now you will have the true story.This information is almost never available while incarnated, other than in very diluted and culturally distorted form.It will be a lot like when you first found out where babies came from.Learning about the pleasure possible, the responsibilities and difficulties involved in the greater process are a matter for you to experience and thus learn for yourself.From these 3 books you will have the information necessary to literally take your first step as a conscious adult while still involved in a "physical" life into the greater reality of which you are a resident part and that is your true home. Only to the degree to which you are willing and prepared to change.Over time, the degree of change could be very profound if you choose to expend the effort to make it so. Only to the extent and in the sense that it is an end of innocence.You will be made aware of laws of being of which ignorance is no excuse.Since you will be judged based on things that you are presently ignorant of with that ignorance not accepted as an excuse, best to lose such innocence.And no problems with apples, snakes and "original sin" this time! If you feel an impulse towards religious contemplation, but tend to find most popular approaches lacking in logical rigor or discipline, this series of books will help you towards the insight that you've been seeking. Because the book's ideas and information are presented in a scientifically valid manner (all assumptions follow from clearly stated propositions), you'll have the freedom to assess the books basic assertions without being told what to think or feel about them. At the same time, Mr. Campbell's sense of humor makes for a purely enjoyable read - something you'll want to kick back with on a lazy Sunday afternoon and really soak in. And once you begin to give these books your complete and undivided intellectual attention, you'll be presented with a way of conceiving human experience that you've never even dreamed of. This work goes beyond insights offered in the Celestine Prophecy or even the Seth material. 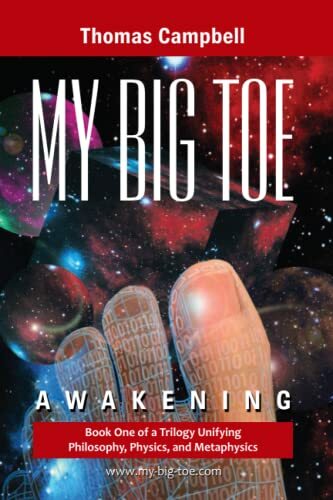 What the "My Big Toe" series offers you is nothing less than a logically concise and justified explanation of the actual working nature of the universe. All the big questions are approached and answered: the nature of the soul, sense experience, artificial intelligence, free will - you name it. By using his first-hand experience to formulate propositions needed explain the true nature of experience, Tom Campbell has almost created a new genre: one that is simultaneously scientific, religious, philosophical, and personally inspiring. Clifford Pickover's inventive and entertaining excursion beyond the curves of space and time. "I've enjoyed Clifford Pickover's earlier books . . . now he has ventured into the exploration of black holes. All would-be tourists are strongly advised to read his traveler's guide." &mdash;Arthur C. Clarke. "Many books have been written about black holes, but none surpass this one in arousing emotions of awe and wonder towards the mysterious structure of the universe." &mdash;Martin Gardner. "Bucky Fuller thought big.Arthur C. Clarke thinks big, but Cliff Pickover outdoes them both." &mdash;Wired. The term "black hole" was coined by the Princeton physicist John Archibald Wheeler. What, exactly, a black hole is (if there even is such a thing) has been a source of debate and confusion for decades. Clifford Pickover inserts you as the main character of this book. You are on a spaceship (complete with aliens) way the heck in the future & your ship is near a black hole. So, you & your friends decide to do a close (literally) study of the cosmic anomaly. The story is entertaining & has many didactic features. Pickover also inserts some humor so as to make the book enjoyable as opposed to a dense treatise of rather complex mathematical concepts. Also, at the end of each chapter is a section called "The science behind the science fiction." It is a detailed account of what we presently know (or think we know) about the notions which were presented in the narrative. And, the concepts are many. We learn of various weird things that happen in & near a black hole, such as time slowing, the "shrinking" of one's perspective due to the singularity & the mind-numbing gravitational power which is projected by black holes.....a gravity field so immense that the escape velocity exceeds light speed. We learn how black holes were predicted by Einstein's theory of Relativity as well as how the many principles of quantum mechanics come into the picture when one is attempting to understand the nature of singularities. Much of this book is speculation, but it is educated speculation. The conjectures on what happens inside of a singularity, as well as the possiblity of wormholes which lead to other universes & dimensions is exciting & based on our best available current knowledge of the cosmos. As an added bonus, there is a chapter in the back of the book in which many of the world's leading cosmologists answer questions posed by the author on various topics about & related to black holes. There are also computer animation pictures of some of the more dazzling geometrical effects that are generated by black holes. For anyone who is planning to visit a black hole anytime soon, this book is a must. GET THE BOOK AND BEGIN YOUR OWN TRAVEL! For over five years I've been a fond of classic physics, cuantic physics, cosmology and astrophysics. I've read the books of some of the greatest writers of these branches of science, among which I remember Stephen Hawking, Paul Davies, Roger Penrose, Albert Einstein, etc. All of these books are very complete if we talk about the information exposed by them, but they have a common characteristic (I don't know whether is a defect in fact), is highly recommendable to have a certain level of scientific knowledge in order to make good use of its content. 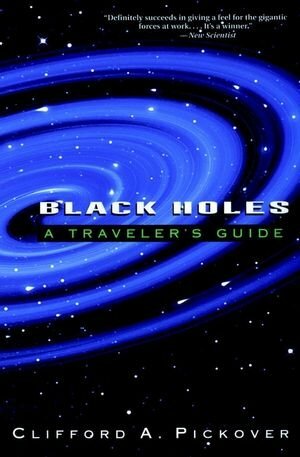 The book featured by Clifford A. Pickover "Black Holes: A traveler's guide" is totally different to those that I've read before. Is a complete, funny and, overcoat, is easily understandable by anybody. At the beginning of each chapter there are presented dialogs (between the reader and an alien called Mr. Plex) with the purpose of giving the main idea of what is coming up next. In the same way, almost all chapters make reference to simple formulas that describe the most relevant aspects about the behavior of black holes. Besides the main subject (black holes), the author took charge of showing in a briefly manner another "not less important" subjects of astrophysics and cosmology. I had never understood many of the formulas presented until I read this book. When you begin to read it, you begin a journey to the marvelous structure of one of the strangest and most fascinating things in the whole universe, a black hole. Is the best book that I've ever seen about this topics and I believe that somebody difficultly overcome the clear, precise and funny style of writing of Clifford A. Pickover. GET THE BOOK AND BEGIN YOUR OWN TRAVEL! This book is full of useful information about black holes that is presented in a fun manner. The dialog at the beginning of each chapter makes the reader understand the topic fairly easily. The equations were added for a more scientific approach, but you don't have to understand them to understand the theories. This book is very good for readers interested in Black Holes, but not the physics of them. I would not suggest this book to people who have studied physics or astrophysics if they are looking for a mathematical explanation of Black Holes. It often repeats itself because it is guided towards people with an interest in the subject but are not really interested in the math and physics of it all. Overall it is an excellent overview of Black Holes, and a joy to read! During a Los Alamos lunchtime conversation that took place more than 50 years ago, four world-class scientists agreed, given the size and age of the Universe, that advanced extraterrestrial civilizations simply had to exist. The sheer numbers demanded it. But one of the four, the renowned physicist and back-of-the-envelope calculator Enrico Fermi, asked the telling question: If the extraterrestrial life proposition is true, he wondered, "Where IS everybody?" - Aliens are already here among us. Here are answers ranging from Leo Szilard's suggestion that they are already here, and we know them as Hungarians, to the theorists who claim that aliens built Stonehenge and the Easter Island statues. - Aliens exist, but have not yet communicated. The theories in this camp range widely, from those who believe we simply don't have the technologies to receive their signals, to those who believe the enormities of space and time work against communication, to those who believe they're hiding from us. - Aliens do not exist. Here are the doubters' arguments, from the Rare Earth theory to the author's own closely argued and cogently stated skepticism. The proposed solutions run the gamut from the crackpot to the highly serious, but all deserve our consideration. The varieties of arguments -- from first-rate scientists, philosophers and historians, and science fiction authors -- turn out to be astonishing, entertaining, and vigorous intellectual exercises for any reader interested in science and the sheer pleasure of speculative thinking. Well-written, interesting and thought provoking! This is an interesting "ideas" book. I'm a long-time Analog reader, so the notion of the Fermi paradox isn't exactly new to me - but many of the subjects discussed here I was coming across for the first time. There's a lot of overlap with the well-known "Rare EArth", though Mr Webb's book is probably better written and more fun to read. I recommend both books. This is the most up-to-date and thorough discussion of the Fermi Paradox that I have read. Stephen Webb examines all the popular solutions as well as some esoteric ones, giving us considerable background on each along with the benefit of his knowledge on a wide range of relevant subjects including microbiology, plate tectonics, evolution, intelligence, language, philosophy, as well as astronomy and cosmology. And then he gives his solution: we are alone. That was Fermi's solution of course, and it is a popular one; however I don't think that Webb comes anywhere near to making a convincing case; and at any rate he is somewhat equivocal about whether his answer applies to the entire universe or to just the galaxy. It is clear that his answer applies only to life as we know it, having a carbon based biochemistry and a cellular structure. My feeling is that intelligent life forms may evolve from some other chemical basis or even from some use of energy and matter we know nothing about. On pages 237 to 239 Webb presents his argument that we are the only extraterrestrial civilization (ETC) in the galaxy by a process of elimination, i.e., life must be on a planet within both a galactic habitable zone (GHZ) and a solar continuously habitable zone (CHZ) around the right kind of star; must avoid cosmic disasters like supernovae; must have the right kind of moon, Jupiter, and plate tectonics; must evolve beyond single cells; must develop tool use and language, etc. He ends up sifting out everything except us, and the only reason he doesn't sift us out is that he has set us aside since we actually exist! This is close to sophistry, perhaps, but it has been argued before. I might call it the Fallacy of Elimination by Unknown Probabilities about Matters that May or May Not Be Essential. Putting that aside, consider this: If we extrapolate from what we know (as opposed to any speculation) about the existence of life in just our own galaxy, we should expect on average--at the very least--one ETC per galaxy. Wow. Far from being alone, this suggests more than 100 billion other ETCs are out there, although we are not likely to ever communicate with them. One of the things this book demonstrates, as others have before (see especially, Peter D. Ward and Donald Brownlee's Rare Earth: Why Complex Life Is Uncommon in the Universe , which Webb acknowledges as influential), is that when you're dealing with so little concrete information in such a vastness, it is impossible to be entirely convincing one way or the other. The conclusion in Rare Earth, with which Webb concurs, is that life is common in the universe, but intelligent life is rare. I agree substantially with this, but my "rare" is perhaps larger than their "rare." Some of the familiar but crucial questions considered here were addressed in the excellent Extraterrestrials: Where Are They? (1995) edited by Ben Zuckerman and Michael H. Hart. For example, How long do ETCs exist before they go extinct? Is space travel enormously difficult and expensive or is it just very difficult? Do ETCs have a psychology similar enough to ours to make them want to communicate? How would they communicate, using what sort of medium?--even: would we recognize a communication from an ETC if we received one? The answer to these questions and many others is, we don't know. But it's fun to speculate; and in speculating at least we can eliminate many conceptual and logical errors that might crop up. Furthermore such speculations expand the mind and allow the imagination a greater range. In direct contrast to Webb I think there's only the smallest chance that we are alone. Amazing how people can come to such divergent conclusions from the same evidence! For such answers as, They are so advanced that they have no interest in communicating with us, and They are so into their own self-constructed pleasure-enhancing virtual existence that they care not to look outward, etc., Webb has a ready response. For such answers to solve the Fermi paradox, he says, they have to apply to every single ETC. Surely, he posits, not all ETCs would have such a psychology. But, by taking all such solutions and playing an elimination game similar to the one Webb plays on pages 237-239, we can reverse his conclusion and eliminate all existing ETCs as non-communicative for one reason or another, arriving at the grand conclusion that we are not alone and that there are indeed a whole bunch of ETCs out there. I wish I had the space to address some other Stephen Webb arguments that I think are faulty, but perhaps just one more will be suggestive. On page 229, while arguing that only humans have symbolic language, he relates an experiment in which a dolphin learns to operate an apparatus to release food. The dolphin is timed. Then the scientists close that dolphin off and release a second dolphin into the pool with the apparatus. The first dolphin can send signals to the second dolphin. The scientists then time how long it takes for the second dolphin to learn to work the apparatus. They discover that it takes the second dolphin on average just as long as it did the first. Webb writes: "We can conclude from this that the first dolphin was unable to tell the second dolphin how the apparatus worked." Well, maybe. But replace the dolphins with humans, and the reward of food with hundred dollar bills, and perhaps we might conclude that humans are also unable to communicate how the apparatus worked! Bottom line: for SETI enthusiasts and anyone interested in the prospect of extraterrestrial life, this is a book, despite its flaws, not to be missed. Depressing but brilliantly written and articulated. Stephen Webb is obviously a VERY bright guy. He's also a damn good writer. This is a really good book if you have some experience in reading about such things. I'd love to hear what Frank Drake and Seth Shostak think of it. Anyway, I am going to take the liberty of quoting Mr Webb and using his own words to review his book. "A surfeit of hypotheses is a sure sign we do not understand something." I'm still hoping to live to see a glimmer of understanding that is incontestible. I was really disappointed by this book. It is "entertaining," but very light on new information on the subject of ETC's in my opinion. If you have read much on the subject before you will find little new here. I was really disappointed by the time I finished the book. Add to that I worked out the math error pointed out in another review in detail. The author's Step1 calculation is that 20% of STARS fall into the GHZ yielding a result of 2 x 10x10 PLANETS. However, 20% of 10x11 stars is 2 x 10x10 and by applying the author's own estimate of 10 planets per star we have 2 x 10x11 PLANETS remaining. Step 2 calls for 5% of the 2 x 10x10 STARS to be Sun-like, yielding 1x 10x9 STARS, or 1 x 10x10 PLANETS, not the 10x8 PLANETS as stated in the text. Beginning in Step 3 the calculations change from number of stars to number of planets. It calls for only 1% of planets to be hospitable (10x10 PLANETS /100), yielding 10x8 planets, not 10x6. Step 4 allows 50% of the planets to have life, which the author calculates to be 500,000 planets, not the correct 50,000,000. This is an error of a factor of 100, caused no doubt by switching between stars and planets in the early calculations and forgetting which was being used. Hence when the author comes to Step 6 he has a result of 10x5 (100,000) potential planets when the correct number is 10x7 (10,000,000). In Steps 7 and 8 he argues no one can be sure of the impact for the reduction effects in Steps 7 and 8, but that given the small population of 100,000 potential planets (not the correct 10,000,000) that Earth is the only planet with intelligent life. This answer - Earth is alone - may be right, but the author's math is wrong and makes the rest of the book suspect. 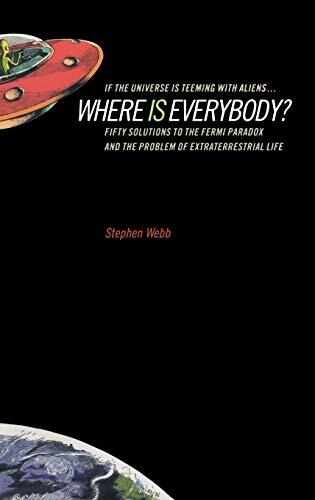 "Where Is Everybody" is a very readable and enjoyable book that offers 50 possible answers to the question "are we alone in the universe?". The answers offered range from incredibly absurd to extremely thought-provoking. The book does not offer any unique insights or ideas which have not been suggested before. Its value lies in the collection of all of these ideas in a single volume. I found the book enjoyable and easy to read (most of the time). I do have two complaints, however: (1) the book is somewhat repetitive, and I frequently got the sense that the same solution was offered multiple times for the sole purpose of reaching a total of 50 solutions; (2) portions of the book are poorly structured and needlessly use scientific concepts which are not adequately explained in the book. This is most notable in the sections of the book that discuss the biochemistry of life on earth. Here is the book I have been waiting for; so rich in meaning and knowledge I had never tapped into before. The Moon Book (My Moon book) gives cultural and psychological awareness to absolutely everything around, above and below us. It is like an MRI that reveals all embracing levels from all cultures from all times and all at the same time. Jules Cashford has managed to transform and unravel new realities every day as I pick up the pages a little at a time. This is the story of US. Simply amaizing. A very grateful New York reader. Will the Beauty of the Final Theory Be Hold out? A cosmologist and art fanatic, Mario Livio, elegantly tells the general reader about the recent observational finding that the expansion of the universe is speeding up contrary to the long-held belief of slowing-down expansion. He stresses the effect of this finding on the beauty of the fundamental theory of the universe; or rather the central theme of the book is that beauty. Livio clearly explains his requirements for the beauty in physical and cosmological theories: symmetry, simplicity, and the Copernican principle (we are nothing special). According to the author, the tentative discovery of the accelerating expansion of the universe poses a frightening challenge to the beauty of the final theory by raising difficult questions about the non-zero value of the cosmological constant (or the energy of the vacuum). From the viewpoint of the Copernican principle Livio rejects resorting to the anthropic principle for giving a quick answer to those questions. The story told about the recent finding of extrasolar planets is intriguing and helps strengthen the basis of the expanding Copernican principle. The book is so good that I am tempted to write all of its minor deficiencies I have noticed: The explanation of the inflationary model is not very understandable as the author himself admits in the book. The author's bottom line for Carter's argument about the rarity of extraterrestrial intelligent civilization is rather confusing, because the latter's argument seems simply wrong due to the contradiction of his conclusion to his two-possibility reasoning, aside from the dubiousness of his crucial assumption at the start. In the last chapter Livio writes about Wheeler's view of the participatory universe, but its distinction from the anthropic principle, if any, is not made clear. The first name of the Japanese physicist and cosmologist Katsuhiko Sato is misprinted as Katsuoko. It would have been much better to include bibliography of the books cited and the photographs of many paintings referred to. Livio is head of the science program for the Hubble Space Telescope and as such is eminently qualified to write on the topic of cosmology. Here he not only tries to provide an overview of current thinking about the origin and evolution of the universe but also attempts to explain what makes for a beautiful theory (in short: symmetry, simplicity, and the Copernican principle, i.e., that we and/or the earth are nothing special). He definitely succeeds at the former. In fact, this may be one of the best and easiest to follow explanations of the Big Bang and the inflationary universe that I have encountered. Going beyond that, though, he seems to overstretch himself: he attempts to be more dramatic by including several imagined dialogues involving (at various points) Galileo, Newton, and Einstein, none of which are particularly successful. And his attempts to relate beauty in physics to artistic beauty are undercut by a production limitation: none of the paintings to which he refers are represented in the book. In fact, except for the cover (which incorporates a painting never mentioned in the text), there are no illustrations at all except for a few abstract, explanatory ones-strange for a book with the phrase "beauty of the cosmos" in the subtitle. Still, this remains an excellent layman's book on cosmology and is sufficiently up-to-date to include the recent discovery that the universe appears to be expanding at an increasing rate. Highly recommended for those interested in the subject. This book furnishes an excellent overview of the observational finds of the past few years that have so shaken up the astronomical community with their implications. 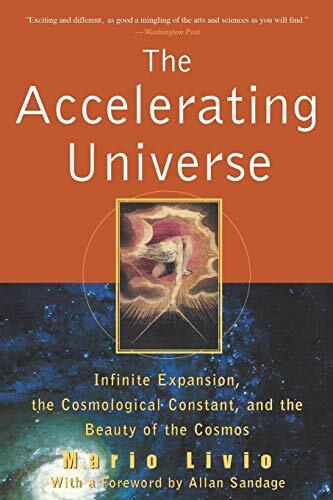 As the title indicates, Livio's book examines the discovery that the universal expansion is apparently accelerating rather than slowing down, as previously believed, due to some mysterious driving force. Livio is on the front lines, as one might say, as scientific director of the Hubble Space Telescope project, and he presents an insider's view of things. Livio unfortunately dallies with something that he calls the cosmological aesthetic principle-- his term-- as a new framework in which to provide and organise cosmological theories. One of the central criteria is the theory's aesthetic appeal, something related to it's symmetry, copernican nature (i.e. not singling out any particular epoch or place as being special), and its overall simplicity. Livio does present some reasonable arguments. But overall his suggestion here is of dubious merit in large part because, as is apparent throughout the book, there is too much emphasising what is desired to be seen, rather than what actually is seen. There is inherently a prior presumption about how the universe should be and should behave-- a product of a particular theoretical tradition-- when the recent findings in this and other respects suggest many surprises up ahead, even at the fundamentals. The author also seems a bit too sure of himself in regard to the recent theoretical models and ideas as well as the observations themselves. The recent findings and the constantly changing nature of science itself would argue for more care in such interpretations. So the book is worth a read as a general summary, but has problems in its basic ideas. Mario Livio, the scientific chief of the Hubble Space Telescope project, has written a book with a lot of potential. Considering the implications of recent discoveries that distant galaxies are farther away (and thus receding faster) than expected, with the concomitant suggestion of accelerating cosmic expansion, Livio ponders what this means for cosmological models. He concerns himself here with the junction of scientific theories and aesthetic concerns, the beauty and elegance that seem to have characterized some of the best theories (e.g. Newton's mechanics, Einsteinian general relativity). He suggests that 3 key criteria be used to evaluate the quality of a new cosmological theory-- symmetry, simplicity, and the Copernican principle (the "principle of mediocrity" or, generally, the idea that earth is nothing special in the universe). Livio's book fails, unfortunately, for several reasons. (1) One problem is technical: For all the emphasis that Livio puts on beauty and the relation of excellent scientific theories to great art, his book has oddly omitted the occasional figure with an example of such great art-- paintings, sculptures, illustrations, something that a reader can relate his ideas to. (3) In choosing his criteria for evaluating theory, Livio introduces a regrettable bias. Desires for symmetry and simplicity have been present since Galileo's time. But Livio seems almost obsessed with the Copernican principle. I myself share his predilection for the principle, and would hope that theorists would tend to formulate cosmological models without having to invoke anything special about earth or what has happened here. But we cannot assume up front that this is going to be the case; the evidence has to decide that, not a personal preference. When Livio cites the Copernican principle it seems to be in response to the so-called anthropic principles, the "strong anthropic principle" suggesting some kind of life-promoting design in the cosmos and the "weak anthropic principle" stating the obvious-- life is here on earth, and there must be something about the physical constants and forces that is conducive to it. Livio is justifiably hesitant with regard to the strong version, but is in danger of neglecting the obvious fact of the weak version. Earth, in some sense, might seem "messy" and "incongruent" with regard to the criteria that Livio sets up, but the planet may indeed turn out to be special, especially when the enigma of earth's biology is considered. We should not assume that up front, but nor should we rule it out; cosmological theories have to be open to different possibilities. As one reviewer below pointed out, Aristotle's musical spheres picture was very beautiful, but it turned out to be flat wrong. Accurate theories in cosmology may turn out not to have simplicity to be comprehensive, and the Copernican principle may not be appropriate, at least in certain respects; we have to be open to that possibility, which suggests that Livio's Cosmological Aesthetic Principle might be a questionable set of criteria. by D. Bailin, Love A. What conceptual blind spot kept the ancient Greeks (unlike the Indians and Maya) from developing a concept of zero?Why did St. Augustine equate nothingness with the Devil?What tortuous means did 17th-century scientists employ in their attempts to create a vacuum?And why do contemporary quantum physicists believe that the void is actually seething with subatomic activity? 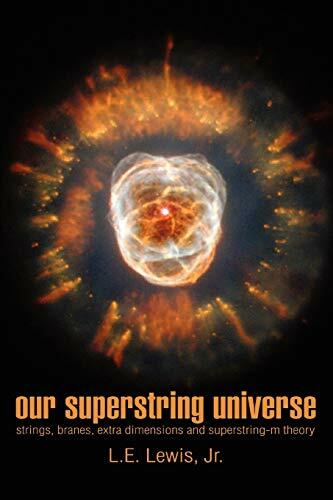 You’ll find the answers in this dizzyingly erudite and elegantly explained book by the English cosmologist John D. Barrow. About half of this book discusses the cutting edge of physics (with the necessary history) regarding the fate of the universe, and in particular, how vacuum (nothingness) in its modern quantum understanding plays a central role in the universe's evolution and ultimate future. The other half of this book is about philosophical issues such as the history of the concept of nothing and the number zero, the religious concepts of the history and future of the universe, and the mathematical history of zero and infinity. As the previous reviews of this book, and indeed, its subtitle "Vacuums, Voids, and the Latest Ideas about the Origins of the Universe" imply, this should have been a book about Physics and in particular, the physics of vacuums (quantum zero-point energy). One would expect a detailed treatment of this, without the extensive digressions from the primary topic. If that is what you are expecting, you will be disappointed; it is why I rate this book three stars. I was bored by the parts of the book which digressed from the layman's physics discussion. On the other hand, the half or perhaps 60% of the book Barrow devotes to discussion of physics was very well written. If you have read extensively other layman's books on physics (such as Greene's Elegant Universe, Treiman's Odd Quantum, Lederman's God Particle, and the like) then about a third or a half of this may seem familar, but restated in Barrow's clear descriptive prose. As for the rest, in about a decade of reading layman's physics books, I had not encountered - or had forgotten or previously misunderstood - the remainder. In this sense, the book is definitely worthy of five stars, and was very interesting. He explains, for the first time that I actually could understand the why of it rather than the fact of it's existence, the "why" of the unification of the three forces (excluding gravity) at high energies/temperatures, the "why" of black holes radiating away all their mass, and much of the "what" of Einstein's cosmological constant, which he calls the lambda force (as Einstein used the symbol lambda to represent it). Many other things are discussed along the way, and extensive notes for other reading are provided - many of which reference his own works. In sum, I feel this book could have been shorter OR have expanded upon the physics at the expense of the philosophy and religious discussion. Of the 300 pages of prose (the remainder being extensive footnotes and index), be aware that perhaps only 150 or 170 will be of interest to those who want a solid physics discussion. If you have wider interests, the remainder will also likely be of interest; some of it can also be found in the earlier chapters of Gullburg's "Mathematics: From the Birth of Numbers." This is my first Barrow book and I totally enjoyed it. I am saying this after coming to the conclusion that the minor errors, inconsistancies and British spellings in the American edition are due entirely to the lack of science expertise of the Random House editors who translated the book from UK english to American english. Physics is a big subject but the author found a narrow and well defined thread to follow that starts with the need for a zero placeholder in number systems and ends with the recently discovered expansion of the universe and zero point energy. He uses history, philosophy, mathematics and physics to move the reader along this thread. The delving into real physics concepts is so fearlessly done that it may turn off the Walter Mitty types who dream of Nobel Prizes. The math used is oriented toward logic rather than calculation. I can see where some new readers in physics might get lost in a very few places because names of theories are bandied about with no attached explanation of what or how. But this may be due to editor mishap rather then author intention. Stuff like this can be yet another reason to read another physics book. Like Roger Penrose's books, John Barrow's reflect an active researcher's ideas as well as accepted theory so don't be suprised that you may be reading about some things that no one else in the field supports. I think this is the reason why I like this book so much anyway. This book comes close to literary schizzophrenia if i ever encountered it in written form. Keeping in mind that the author aspires to explain "complicated" issues like voids, vacuums and the general concept of nothingness, this book could indeed have been another horror to read through like many such books are for those of us who dont spend our lives in labs. I was more than surprised then when i discovered that for 200 odd pages (2/3 of the effort) D.Barrow does an incredible job explaining his subject in brilliant manner. Beginning by backtracking in history, to exhibit how the ancients dealt with the concept of nothing and therefore needing to introduce the conception and the introduction (or non-introduction) of the number zero Barrow kept me heavily intrigued and increasingly stimulated. I was in fact in pure awe for a while, especially as the book progressed to the origins of the universe, early experiments about the vacuum and the startling things we've discovered about it, and then on to the ever-fascinating subject of the expansion of the universe (or agin, the non-expansion thereof). That part of the book is very enriched with philosophy which makes it all the more captivating. Philosophy, it may be unknown to some, has played a pivotal part in the development of physics. Before you can ever begin experimenting with anything you first need to grasp it even as an abstract concept in your mind. That far, this was easily the first book that could explain in a very comprehensive manner why the universe might be expanding and what the causes of such an effect might be, as well as, the effect of vacuums in this process. The joy didnt stop there, at least not for a while yet. Introducing theinevitable Einstein theorisations the author kept using down-to-earth language and very effective examples to build his case. But then for reasons i believe to be obvious the whole things falls apart. 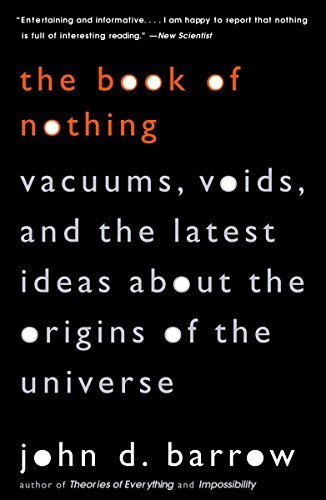 As if another author takes over 2/3 of the way in, the "Book of nothing" becomes almost a list-down of mathematical types, and descriptions of ultra-complicated experiments and even more convoluted theories. Worse yet, the language becomes wooden and tiresome, the examples fade off to ambiguity and the reading becomes a very, very difficult task. An incredible effect to watch unfolding before my very eyes. I couldn't believe how much i'd actually grasped through the early stages of this book and how "nothing" (there is my pun) i grasped later on. And saying i grasped nothing later on is meant literally. I found myself reading the last 150 pages of the "Book of Nothing" as if it were hieroglyphics and were it not for the brilliance of this book initially i would've given it up all together. -Barrow might actually be a better philosopher than he's a physicist, hence he might be practicing the wrong profession. -as is the case with other scientists who've written such ambitious books, the suspicion lingers threatfully on that they themselves might not understand what they're talking about. Indeed, a major principle of communication states that if your message is not understood then it is 100% your fault. But even more importantly, if your message isnt understood then your message might not be...right. Whichever the case, this is not the important thing. What is important is how this book is divided in half. Half of it absolutely incredible, fun to read, ultra-stimulating and then the other half a pure torture of a read with no reward in sight. For the part that does reward though i couldn't possibly over-reccommend this book. It's a must read especially if you feel there are concepts you dont seem to understand about the latest theories concerning the universe, its origins or its future, the vacuums and voids and other elements connected to this big (second pun, unintended this time) picture. If you find yourself giving up on the "Book of nothing" as you approach its conclusion, dont worry. Your overall effort wont be in nought. I was excited to read this book. I find the concepts of zero and the vacuum very interesting and those are the very concepts that are the focus of this book. Unfortunately, it did not quite live up to my expectations. The first chapters of the book are quite good. Barrow gives us a history lesson on the development of the mathematical concept of zero as well as the historical concept of "nothing" which science will turn into the concept of vacuum. We get to read about the use of zero as a place holder in more complex numbering systems as well as its coming into being as a number. We get to read about the some of the great scientists--Pascal, Newton, Michelson, Einstein--doing experiments and tossing around ideas like the aether. All of this is interesting and well told. However, about half-way through the wheels start to fall off. Barrow is not nearly as good at explaining the modern concepts of the vacuum as he is about telling of its historical development. Modern physics is again grappling with the question of whether or not a true vacuum can exist. It may be that fluctuations in the vacuum caused the Big Bang and are constantly creating multiple universes, for example. But though Barrow discusses these things, he does not do so in a very coherent manner. Alan Guth, for instance, did a much better job of discussing these same subjects in his book on the inflationary universe theory. Plus, Barrow is clearly out to toot his own horn a bit in the last couple chapters by mentioning his own contributions to the development of the subject. It just so happens that his contributions don't seem nearly as important as other authors who have written on similar subjects. For those readers interested in the history of zero and the vacuum, I would suggest reading this book through chapter five and then putting it aside. Captivating early on, but disappoints toward the end. I really enjoyed the first part of this book. There I found the coverage of Nothing-related topics to be interesting, well-written, and enjoyable to read. While not always the case, as a rule new concepts and theories were introduced with adequate explanation as well. For example, the quick introduction to surreal numbers was informative and fascinating, though it left me feeling only teased and wanting more. However, the last third or so of the book is another story. This part often comes across like the author was rushed or something, and on average the reading is simply more tedious and difficult than it needs to be. Rather than being fun and informative, the effort required to extract the few worthwhile morsels of information probably isn't worth it.